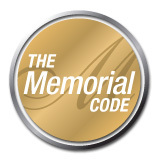 The Memorial Code has been established by leading organisations in order to provide basic principles and guidance in relation to the creation of memorial websites. It is expected that all memorial website providers should work within these guidelines to ensure that the rights and needs of the many vulnerable bereaved people are respected at all times. The memorial creator has the right to privacy and to be allowed to grieve and remember without hindrance. Where not the same person, the site creator should however always consider and respect the feelings of the next of kin. Memorial website providers should respect the privacy and personal details of the creator as well as their right to control the appearance and content of their website. This should include providing the means with which to enable privacy and control postings to their memorial. Whilst not being personally responsible for content, the service provider must always take action where necessary to prevent inappropriate or malicious content being posted and/or circulated. Memorial websites should not be created in-house on a systematic basis for the purposes of marketing and recently bereaved people should not be approached directly through unsolicited cold calling or mail. No advertising or promotional links should be placed on memorial websites nor should they be profiled in any way without the specific prior approval of the site creator. All charges for creating or using the service, both initial and any recurring charges, should be clearly displayed along with full contact details for the service provider. Free help support for site users should always be made easily available. Any limits in terms of website storage space and/or hosting time periods should also be clearly explained. The latest version of the memorial code of ethics was Approved in May 2010. The memorial code was established by the online memorial website charity MuchLoved in conjunction with other leading online tribute and memorial website providers. To read the Notes to the Code, please click here.